Map of the tide gauge sites contributing to the GLOSS network. Black : GLOSS core network. 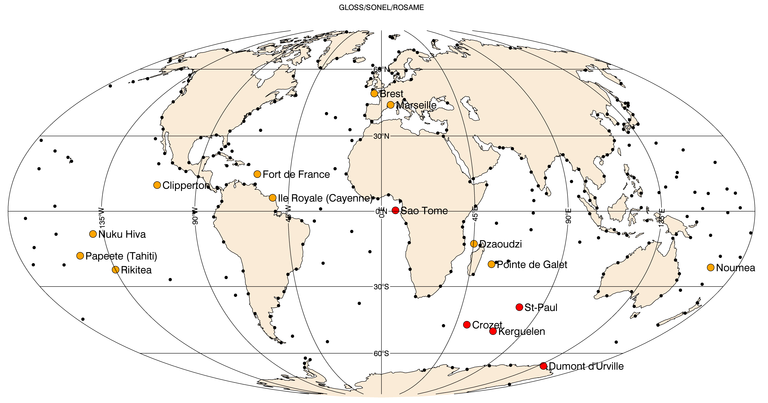 Orange : French tide gauges. Red : ROSAME network and Sao Tomé tide gauge.